Cheryl Murphy is a Gifted Clairvoyant Psychic Medium. She is a heart centered healer and intuitive who helps many with key life issues. Her spiritual readings help those who suffer from grief and mourning and care to connect to loved ones that have passed. Her love psychic readings provide love help and assistance with issues dealing with love and relationships. If you are at a fork in the road, she can help make a decision by connecting you with your spirit guides, who here to assist you at important cross roads. Though many of Cheryl’s clients interact with Cheryl remotely via phone or Skype, she is available for clairvoyant psychic readings, spiritual medium readings in the greater Los Angeles Area. Cheryl has studied metaphysics for over 20 years including international studies in Brazil, Germany, and the prestigious Arthur Findlay School in Stansted, England. She has attended seminars and classes all around the U.S. from Colorado and California to Lilydale, NY. She has oriented her practice as a spiritual medium towards channeling loved ones who have passed over, and psychometry, the divining of facts about a person or objects through physical proximity. I had a reading recently by psychic medium Cheryl Murphy.During my reading, everything Cheryl Murphy b rought through was correct [very accurate]. I want to thank Cheryl Murphy for the love, kindness and compassion she showed me before, during, and after my reading. Because of Cheryl, my heart is now able to start healing and I'm now finally at peace. I'll forever be thankful for Cheryl Murphy for giving my life back. I highly recommend Cheryl if you want to hear from your loved ones in spirit. I've had another reading with Cheryl Murphy, since my last review. If I had to describe Cheryl's abilities as a psychic/medium in one word, I couldn't. There are so many words that describe Cheryl, one word could never do Cheryl justice. A few that come to mind is warm, loving, compassionate and caring. Cheryl is extremely accurate and gave me several validations during my readings. I still highly recommend Cheryl Murphy if you want to contact your love ones in spirit. During my reading with Cheryl, I could tell, Cheryl was a very special and gifted medium. I had written questions down I wanted to ask Cheryl However she answered most of them before I had a chance to asked them. Cheryl's readings are full of love and compassion. Cheryl is extremely accurate in her readings.Cheryl is kind and warm and works very hard to deliver you messages from your loved ones. 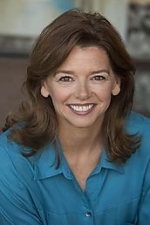 I would highly recommend Cheryl Murphy if you want to connect with your love ones in spirit. I spoke to Cheryl Murphy after a very famous psychic recommended her . I contacted her out of curiosity to validate if they both had the same predictions for my situation causing me anxiety. She was very sincere and genuine. Speaking to a reputable psychic like Cheryl Murphy can save you tons of stress and aggravation. She is very genuine in trying to help people achieve their highest goals. She knew accurate details of of our family and went out of her way to get us the correct answers. My reading with Cheryl was absolutely life-changing! She provided incredibly accurate, private details about a deceased loved one, details that simply could not be known without her having made contact with them. She provided evidence that their soul has survived death, and that they see and know details of our lives, as well as the private thoughts and concerns we have. Cheryl's kind and warm energy instantly put one at ease and allow for a delightful experience. I highly recommend her!!!! Cheryl's reading was nothing short of Amazing! I was able to communicate with my Father who passed over two decades ago! The validations were spot on. Her delivery was sincere, nonjudgmental, and filled with guidance. I'm so happy to have found her!!!!! I recently received a reading by email from Cheryl Murphy and I definitely recommend her to anyone who is thinking about getting a reading. She picked up on specific details that there is no way for her to have guessed at and it helped a lot to know that my loved one is happy on the other side. I appreciate her reading more than I can convey in 500 characters but thank you so much Cheryl for the reading. I have had several readings with Cheryl, and the evidence of connection was incredibly strong. She is the real deal. I appreciate her kind energy and messages of love from the other side. One of the best readings that I have ever had just this past month. Thank you Cheryl! You are a treasure to us all. I recently had a reading from Cheryl, and I can recommend her highly. She is by far one of the best. She was accurate, compassionate, and conveyed a depth of understanding that is rare. If I could rate her with stars, she would be at the top. Cheryl has an amazing ability to connect with those who have passed over. She seems to have actual conversations with loved ones, allowing their personalities and humor to come forward in the reading. What a wonderful experience to feel the loving and joyful energy flow thru Cheryl as she shares such beautiful and profound messages from spirit. I have been working with Cheryl now for about 6 months and she is such a talented and genuine person. She has helped give me such great guidance and direction on specific questions and needs I've had about my life's path. She is so kind and a joy to work with. She has so much insight and knowledge and has given me a lot of outside resources as well to tap into to continue getting me where I want to go in life in between our monthly sessions. "Wow" is all I can say. My reading with Cheryl was wonderful. It was the best reading I've had in years. I am so glad I found her. She was very accurate, kind and so loving. I actually felt like I knew her...like I was speaking with a long time friend. She helped me in many areas and confirmed what my soul was craving that I was unsure about. I highly recommend her and look forward to my next reading. My reading with Cheryl was amazing! She was able to connect to my loved ones, giving me information that only I could have known. She was warm, compassionate and uplifting. Cheryl was able to help me make sense of things happening in my life. There is no doubt that she has very special gifts. I highly recommend her and I am excited for my next reading! Cheryl is what I would call an “evidence-based” medium, sharing precise and specific information. In my sessions with Cheryl I found her to be loving, sincere, and right on target. The information Cheryl passed on about an upcoming move was perfect and helpful. But what touched me more were the personal messages from a loved one who recently passed on. No doubt she was right there with us and wanted to speak to me as much as I did to her. Cheryl has a pure heart and intention is very gifted. Cheryl is incredibly gifted and a special person. Her abilities are other-worldly to the majority of us and for me personally this has been a significant gift to me. She has been able to connect with special family members that have passed away and the description of them and their messages are spot on. She offers a healing and very helpful message every time and has helped my husband and myself open our eyes to possibilities we hadn't considered in our lives. I continue to enjoy her readings. Thank you Cheryl for the beautiful and insightful reading you gave me. I have a clear understanding of my upcoming journey and have established connections with my guides and angels, in addition to being in a good place spiritually. I know someday I will meet you face to face and be able to thank you personally for the wonderful guidance you have given to me now twice. You are so incredibly gifted and a bright light to many. Many blessings to you!